For anyone wishing to experience a taste of the future then look no further than Tokyo. Immediately upon arriving in this fascinating city you will be presented with a maze of conflicting images trying desperately to capture your attention before being in a sea of bright neon lights, tall skyscrapers and giant TV screens along with the occasional park, temple or shrine. 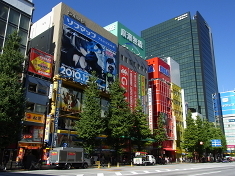 Although referred to by many people as a city, Tokyo holds the unique distinction of actually being a Metropolitan Prefecture. 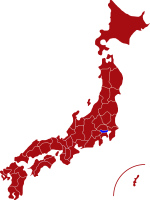 Consisting of 23 centrally located wards within the area that most people think is Tokyo, this prefecture also governs multiple cities, towns and villages further to the west. Top of any first time visitors itinerary, should be the vibrant and fashionable Shibuya. 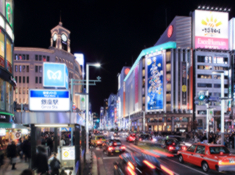 Boasting an endless array of colorful attractions, Shibuya represents modern life in the metropolis with its giant LCDs and bustling intersection which is flooded by hundreds of pedestrians every second. For a more culturally rewarding experience, visitors should head to the historic district of Asakusa. Situated along the banks of the Sumida River, Asakusa has many traditional shopping arcades and features the colorful Senso-ji Temple. Originally built in the 7th Century, this is one of Japan’s oldest monuments. Built on the banks of Tokyo Bay and overlooking the iconic Rainbow Bridge is the ultra modern district of Odaiba. Home to a range of leisure attractions, including the Onsen Mongatari where you can enjoy a complete hot spring experience within an authentic setting. To the far west of Tokyo is the mountainous district of Okutama. Set within a pristine landscape filled with beautiful lakes, forests and waterfalls, Okutama offers an excellent range of walking courses and leisure activities. Wherever you decide to go in Tokyo, expect the unexpected, and don’t be surprised if you find yourself seeing something out of this world, as this is all part of the reason for coming. 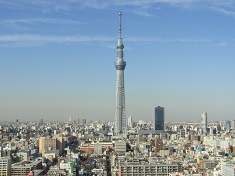 For more information about Tokyo prefecture, see their official tourism website. Air - Narita Airport is located in Chiba Prefecture and takes an hour to reach by train using the Narita Express. Click here for its English website. 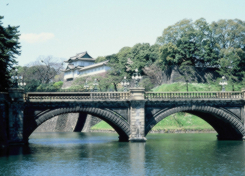 Haneda airport is located closer to the city centre and is easily reached within 30 minutes. Click here for its English website.